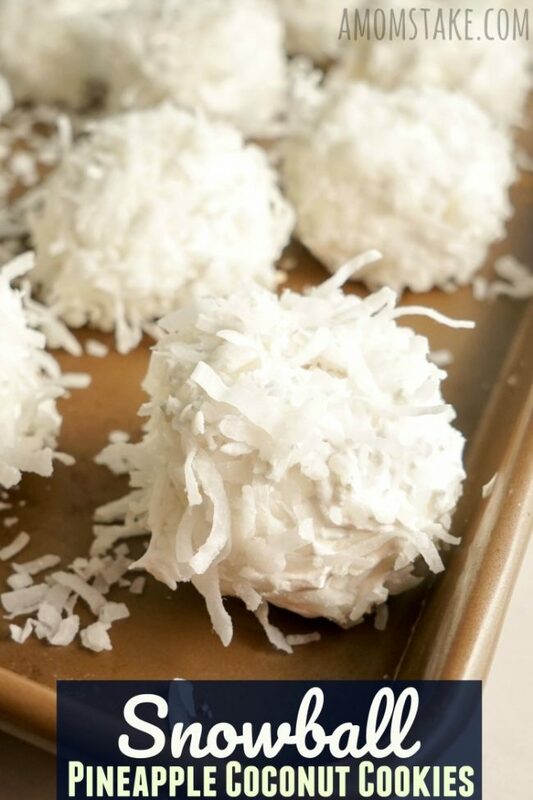 Sweet Hawaiian inspired Snowball Cookies! These easy no-bake cookies are fun for the holiday season and delicious in summer, too. Strain your pineapple really well. Don't skip this step, or your mix will be hard to work with. Beat together sugar, butter, pineapple, and nuts. Spoon a small scoop of pineapple mixture on top of one Nilla wafer cookie. Top with another cookie and another layer of mixture, then add a third cookie on top. Coat layered cookies with whipped topping, and sprinkle coconut all along the outside of the cookie. Store in the refrigerator overnight, then serve. Keep Snowball cookies stored in the fridge when not being enjoyed.